I’ve had the opportunity to perform at a few fashion shows over the past year but I am especially excited to be on the bill at the 9th Annual AFRIK Fashion Show on Friday March 7th sponsored by the Coalition of Pan-African Scholars at Cornell! I’m always excited for opportunities to celebrate my Congolese and Ivorian roots so this should definitely be a great time. The event will be free from 8pm – 1am at Willard Straight Hall [I will be on at around 11]. 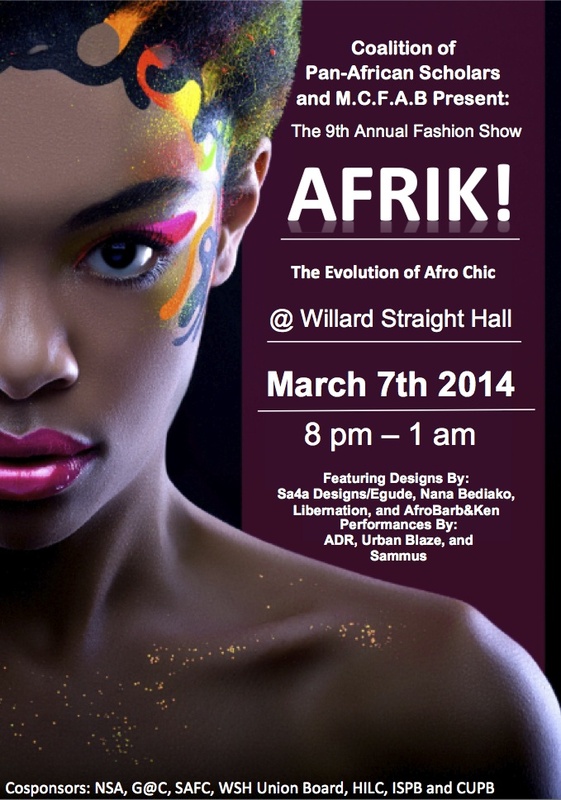 Hope to see you there in your Afro Chic attire!